Low cost hotel is a good idea but the hygiene is below acceptable standards: it is not possible to wash your hands in the common toilet. There must be germs everywhere! Besides, paying extra to get a towel is not a good policy. However, I would like to underline that all staff in the hotel were very nice and helpful. Useful and functional stopover enroute to the Ardeche. Hotel has all you need. Staff were friendly. 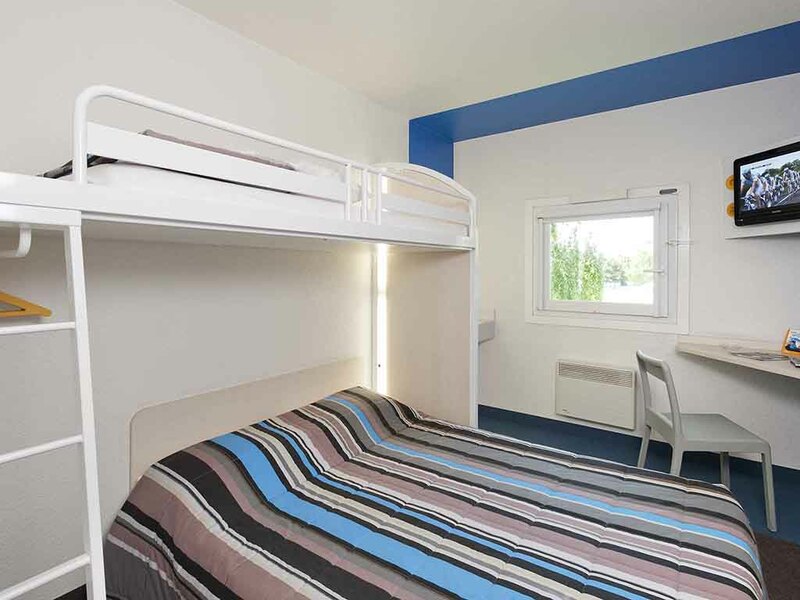 I remember how clean and tidy was typical formule 1 hotel in France. Here I saw it bad that normally means the owner is not investing properly on the property. Apart of it, paying 3€ a cheap single use towel is a robbery that make almost 20% increase on total cost with a room for 35€. I go to B&B next time with in-room bathroom. Booked this hotel late in the day; definitely picked because it was cheapest option and convenient. However wasn’t comfortable nights rest, and the ‘all-you-can-eat’ breakfast was not in any way worth the €3,50 per person. Also when I have previously stayed in F1 hotels they were located near fastfood restaurants making dinner easy when you pull up late in the day, however this one doesn’t seem to have any convenient feed late at night. Also for non smoking rooms both the rooms we took smelled of smoke. Other tests made a lot of noise late into the night. The room was not well decorated and could have been cleaner. the woman working there very nonpolite. I had planned to stay there 6 nights.Her appearance is bad,its not my first time there.I have family in Valence so I go there often.I even called accor hotel and complained about her by phone,they tried to speak with her but she knew only french and refused to talk to your people and the last is ,is it wise for a stuff,there was only for one,I will not go about other problems,but this was the most ,they also should clean better to smoke by the entrance ?or should you go a little far ?also in room was missing pillow and cover I made my story very short here is my answer,by the way there is an Indian origin girl working at the info desk she gets all my credit.very polite and professional...the rest of the 4 days I went to another hotel,have a nice day ,R.
The rooms were OK but the shared bathrooms were a disaster. Very dirty. There was also loud noise from people screaming in the early morning hours that woke us up. We also had to pay for towels, which should normally be provided for free. We have had much better rooms with their own, private toilets and clean towels for the same price. Would avoid this hotel in the future. I needed 6h sleep in the middle on my driving trip, and I new I would arrive late at the hotel. This is what I got. Everything was dirty. No stable WiFi. Hairs inside the bed.